Hassan leads the Abouraya Consulting Group with a background of more than 4 decades of experience throughout Europe, the Middle East, the United States, the former Soviet Union and South East Asia. Most recently, as consultant to the president with Zamil Offshore Services in Saudi Arabia, he has overseen corporate strategy, international marketing, business development and risk management. As an engineer, Hassan conducts multi-industry and cross-industry feasibility studies. He is a Fellow at the Royal Institution of Naval Architects and at the Institute of Marine Engineers, both in the U.K. In 1995, he earned an award of excellence from the Egyptian Engineers Syndicate for his talented and distinguished achievements. He also won two fellowships from the Fulbright Bi-national Commission in Egypt and Harvard Institute for International Development to study the new enterprise economy, restructuring and privatization. 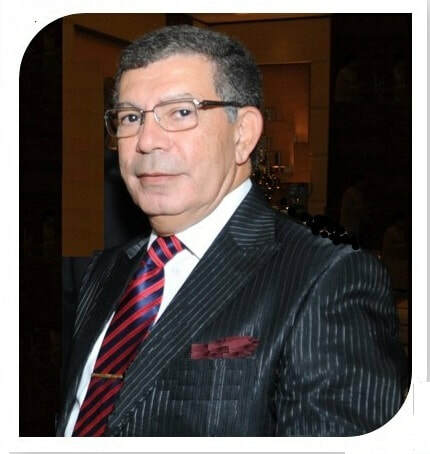 Hassan holds a degree in naval architecture and marine engineering from the University of Alexandria, Egypt, and several post graduate degrees in business, restructuring and privatization, human resource and quality management. He is fluent in Arabic, English, Spanish and Russian. Member of the American Bureau of Shipping Middle East Technical Advisory Committee. As an accomplished business services leader with the passion and will to lead Tharwat Abouraya's knowledge and experience are broad and deep. He has established small businesses from scratch, designed and led international tours, and directed commercial business for more than 20 years as Regional Director of American Express and Vice President of American Automobile Association of Western & Central New York. Tharwat brings clients the value of 30 years experience in retail/wholesale and leisure/commercial business from small businesses to multinational corporations. He has excelled at operations, including call-center environments, P&L management, field marketing, front line motivation and business building. In addition, he understands the competitive forces in the business today, current market trends, as well as today's changing operating environments. A skilled negotiator, Tharwat is uniquely capable of identifying and nurturing strategic partnerships. He is sensitive to the cultural nuances of doing business domestically or globally. In particular, Tharwat is able to demonstrate a comprehensive view of issues and assess their long term impact in order to focus on an executable business strategy. "Under Tharwat’s leadership during his interim assignment as the Chief Tourism Officer, the entire Tourism team has progressed very well. He has been the source of inspiration. I extend my best wishes for Tharwat’s career, As a senior and experienced Tourism Executive…"
"Thanks to Tharwat's expertise in the Travel Industry we were able to quickly put an RFP together. He helped throughout the entire process, from writing the RFP to selecting the candidates. Through his insights we were able to create a scorecard that was used to review the candidates and then to select the most qualified provider. We highly recommend Tharwat!…"
"a person of energy, intelligence and mature judgment…"
Employees: Tharwat is strong and compassionate and a clear communicator. Customers: Tharwat sets clear service delivery expectations, and motivates his people to meet and exceed them. Vendors: Tharwat is an acknowledged industry leader in negotiations with and partnership with the largest airlines, cruise lines, and tour operators. this with amazing speed and staying power." at an amazing rate, especially for an established business." "Marketing wizard…Committed to excellence in the business." "Truly a people motivator…instills pride"
"By all accounts, the American Express client-entertainment event at the Centennial Olympic Games was a huge success. This accomplishment was due, in no small part, to your assistance. I am truly grateful that you unhesitatingly offered your time and energy on our behalf." ​Karen Leggett is a veteran journalist – careful observer, interviewer, distiller of information, writer. Her background gives her an understanding of media campaign strategy, media relations, marketing and writing for special populations. A graduate of Brown University, Karen was an award-winning broadcaster for 17 years on WMAL Radio in Washington, D.C. where she produced and hosted a daily news magazine. She regularly writes public service announcements, newsletters, promotional materials and articles for newspapers and magazines. Karen’s experience includes media training; conference exhibits presentations, and synopses; social marketing; and project/event coordination. She has written for Voice of America, CNN and ABC Radio and her clients have included the National Wildlife Refuge System, AARP, Platypus Media, U.S. Centers for Disease Control, the American Association of Exporters and Importers and the Annie E. Casey Foundation. Karen worked for the Organization for Economic Cooperation and Development in Paris and has traveled widely in Europe, Asia and Egypt.